Cottages « Le Pressoir », 6 people cottage 4-6 pers. 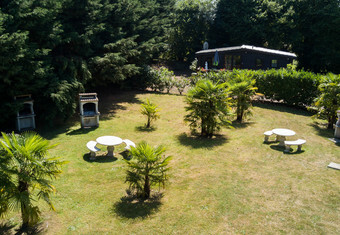 Cottages « Le Pressoir », 4 people cottage 2-4 pers. Cottages « Le Pressoir », Le Pressoir (entire) pers. 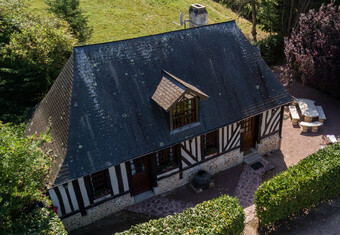 Cottage « La Bouillerie », La Bouillerie 6 pers. 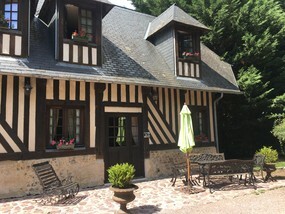 Hotel « Le Petit Manoir », Double room 2 pers. 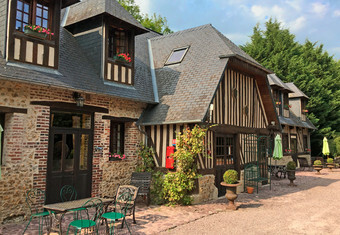 Hotel « Le Petit Manoir », Le Petit Manoir (full) 16 pers. Chalet, Le chalet 2 pers. 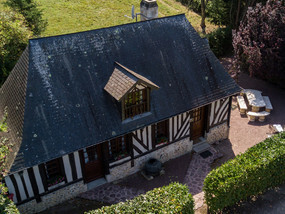 Domaine de Geffosses Cottages « Le Pressoir », 6 people cottage 4-6 pers. Cottages « Le Pressoir », 4 people cottage 2-4 pers. Cottages « Le Pressoir », Le Pressoir (entire) pers. Cottage « La Bouillerie », La Bouillerie 6 pers. Hotel « Le Petit Manoir », Double room 2 pers. 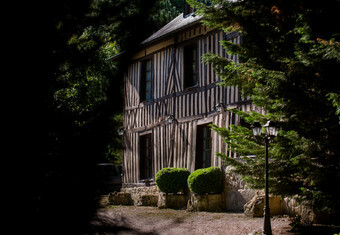 Hotel « Le Petit Manoir », Le Petit Manoir (full) 16 pers. 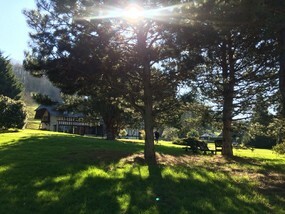 Chalet, Le chalet 2 pers. 20% discount for booking a room for the nights of Friday and Saturday (2 nights minimum). Departure on Sunday at 16:00. Outside periods of school holidays and public holidays. 10% discount for booking a room or a cottage at least 2 months before the date of arrival. Outside periods of school holidays and public holidays. Discount of 20% for any stay of 5 nights or more booked in a cottage. 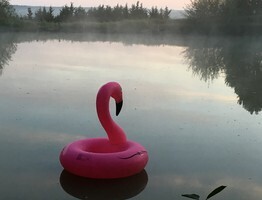 Domaine de Geffosses is located on an 80-hectare lake in Pont l'Eveque. It offers self-catering accommodation, from the well-equipped apartment to the traditional-style cottage with a private entrance and exposed wooden beams.